n February 1945, with no veterinary training available in New Zealand, Graham Wallace braved a German raider in the Tasman Sea to begin his studies in Sydney. The potentially explosive journey set the tone for a colourful life working with big farm animals in rural New Zealand as a travelling vet, later specialising in disease prevention and vaccine creation. Vet on the go is a collection of tales about Graham's time as a vet that is both informative and funny, and addresses changes in practice and attitudes in the profession over seventy years. Many city-dwellers are unaware of the crucial developments behind the scenes that keep the agricultural sector healthy and prepared for difficult situations that may arise. An important book for a country that relies so much on its agriculture, in Vet on the go Graham Wallace brings his knowledge from the country and introduces it to the town, and does it all while telling a damn good story. Graham Wallace was born in 1925 in Auckland. He worked in veterinary medicine until retirement at age 65, and was married to Joy for 59 years until her death in 2009. 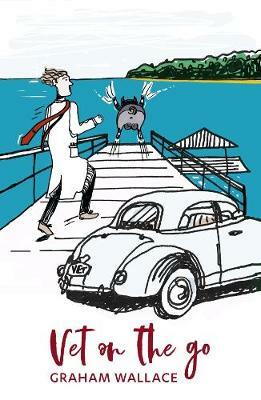 Graham lives in Auckland and Vet on the go is his first book.